It is a simple, healthy, and easy meal which is very convenient for a busy, long work day. Mix the meat with the onion, garlic, salt and pepper. 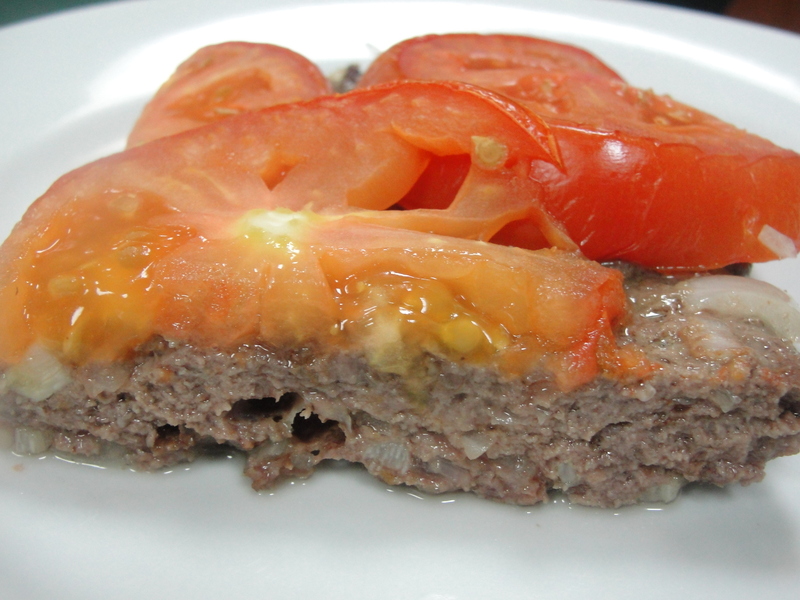 Grease an oven sheet and spread the meat mixture evenly in the tray, leaving no spaces. 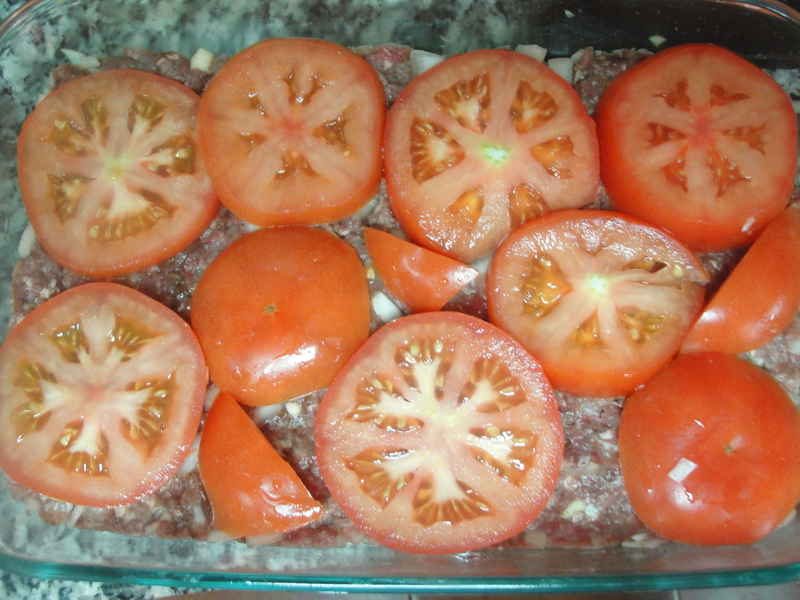 Slice the tomatoes and place them on top of the meat. Bake at 400F/250C for 40 minutes. This entry was posted in Meat and tagged Arabic, Gluten Free, Low Carb, Meat. Bookmark the permalink. 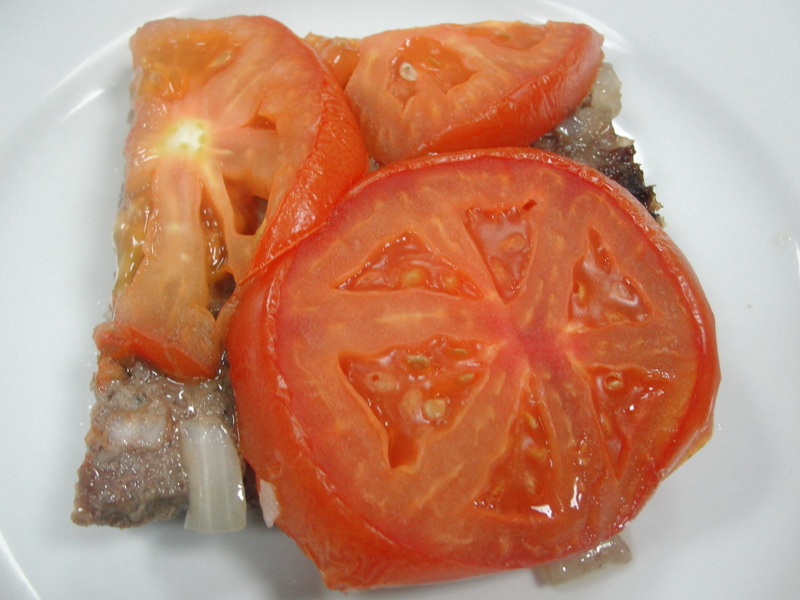 This recipe sounds wonderful I am sure the tomatoes keep the beef all tender and delicious,.